Clover’s Iron Shine Cleaning Pen is innovative across the board. 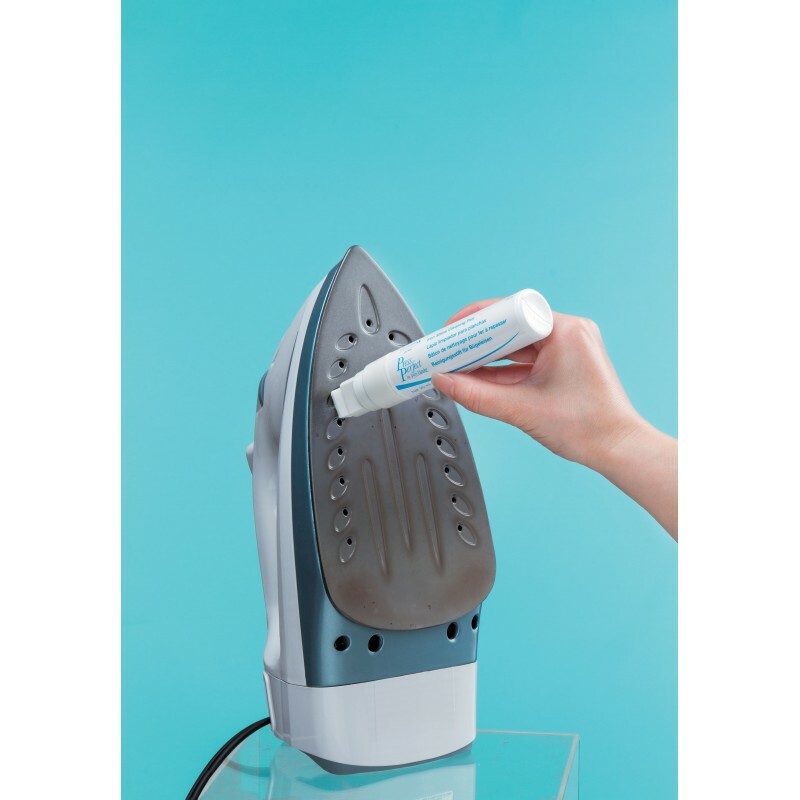 The pen style applicator, scrubby tip, and water-soluble cleaning fluid are a new approach to easily maintaining a clean iron with no mess or harsh fumes. The Iron Shine allows you to control the clean – see what you are doing, clean the whole iron or spot clean, safely work with the iron off. Safe for metal or coated soleplates, and good for multiple cleanings.